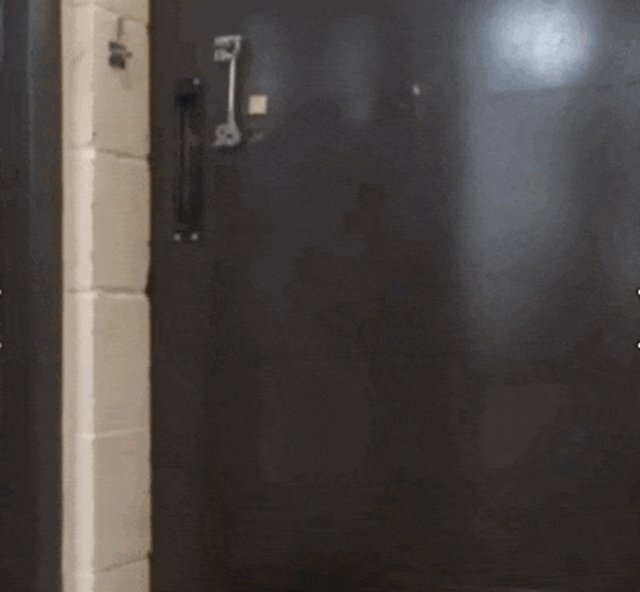 Your dog comes when called - but does he also open the door? 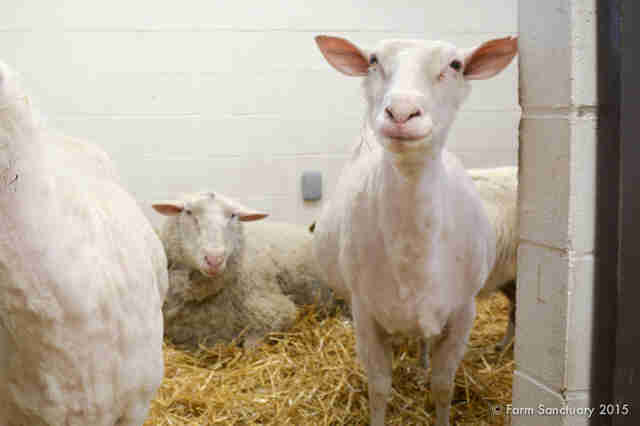 Tracey the sheep does just that in a video posted by New York rescue group Farm Sanctuary. When a volunteer calls out Tracey's name, the smart sheep quickly slides open the door to her pen and peers out inquisitively. Tracey's intelligence is all the more touching considering the terrible conditions where she spent most of her life. Rescued with her friend Louise from a neglect case in January, Tracey had spent years without sufficient food, water or care. When she was rescued, she was "crawling with lice" and emaciated, according to Farm Sanctuary. Even more stirring, both Tracey and Louise were heavily pregnant. 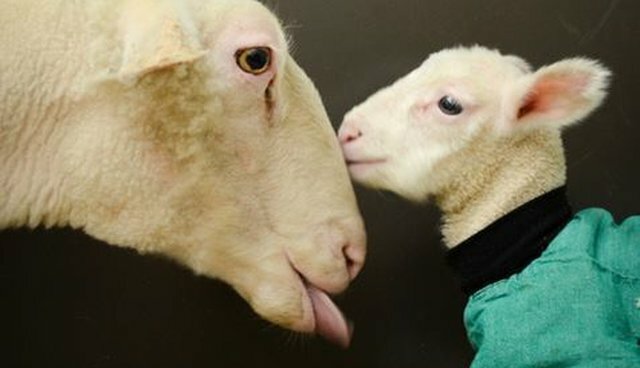 Because of the years of neglect both ewes suffered and their health issues, their babies were at risk and likely wouldn't have survived had their mothers not been rescued just in time. 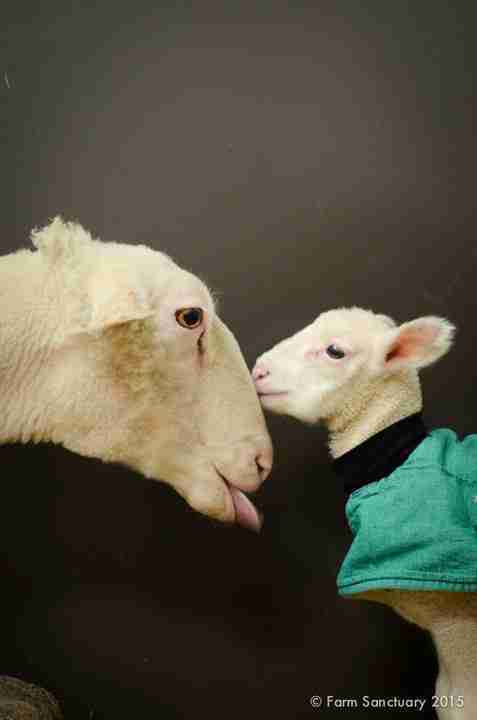 Fortunately, both sheep gave birth in the comfort and safety of Farm Sanctuary, where their lambs received the early care they needed. And the two families appear to be doing great - the video features cameo appearances by Louise, one of her twins, Summer, and Tracey's little lamb Hazelton as they cascade out when Tracey opens the door.